mobile app marketIndia has become the world’s fourth largest mobile app economy as there has been rapid increase in the number of Indians owning smartphones along with rising number of mobile internet users. Along with the increase in these numbers, the amount of time Indians spend on applications is also increasing as per App Annie, a mobile-app analytics company. The amount of time spend on apps has increased dramatically. When compared with India’s total app downloads per year, only China, US, and Brazil are ahead of the developing nation. The annual figure for India is expected to grow by 92% which will amount to 7.7 billion downloads this year and by 2020, this figure will rise to 20.1 billion. As compared the app download in China is expected to grow at as slow as 29% this year. However, China’s absolute figure will be 49 billion which means it will be more than six times of India’s figure. 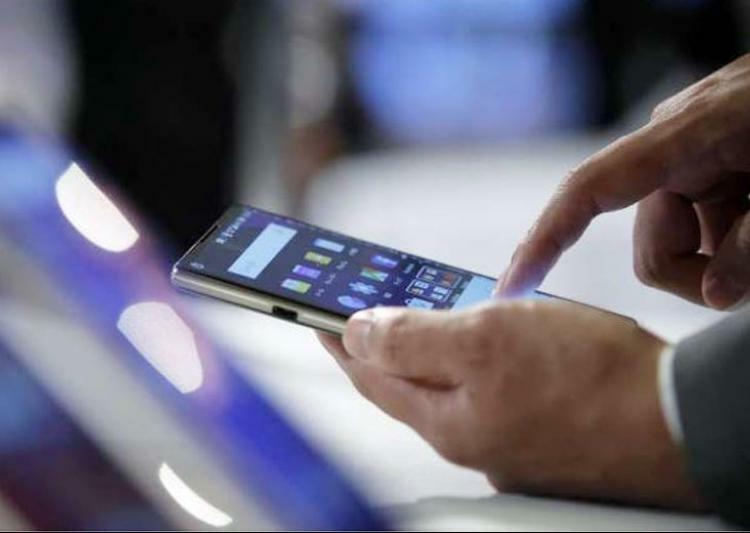 “With the introduction of affordable smartphones and better infrastructure supporting mobile , and given India’s population, the growth here is expected to be significant,” Junde Yu, MD of App Annie APAC. According to Junde Yu, the most important thing that is now driving the app economy here is the amount of time spent by the users on the mobile app and not the revenue or the number of downloads. In India, the amount of time spent on apps in the first quarter of 2016 has increased more than 2 times as compared to that in the first quarter of 2014. India has seen a major rise in the time spent on retails apps. Mathematically speaking, the amount of time spent grew by 11.5 in the first quarter of this year as compared to that of 2014. The retail apps market is largely driven by e-commerce giants like Snapdeal, Amazon, Myntra, and Flipkart. Whereas time spent on video streaming apps rose by 7.4 times with Hotstar and YouTube heading the way. San Francisco-based analytics company has also stated that more than 25% of Android users in India use at least one ride-sharing app, for example, Uber and Ola. Whereas, in all other countries like the US, Brazil, and UK, it is lower than India, that is, below 20%. This came as a surprise to the company, but the trend could be understood with respect to India as a developing country and therefore, users are looking for the need to use these transport services more. Talking about the ride-sharing apps, Ola is the most downloaded and used app after Uber. In retail, e-tailing firms, who have mobile-first approach are ahead of everyone quite an irony to mature markets where web-first and brick-and-mortar players still have a huge share. “Close to 75% of the top 10 mobile retail apps in India in both iOS and Google Play store have a mobile-first approach. In the US and UK, this number is only 10%,” Yu said. In terms of monthly active Android users in Q1 of 2016, Flipkart was ahead of Amazon in India. Whereas, in terms of app downloads in both iOS and Google app store, Amazon was above Flipkart for the same period. “Amazon can get ahead of Flipkart. Even in Japan, it is giving competition to homegrown player Rakuten,” Yu said. Asia Pacific with more than 50% of total global app downloads is regarded as the biggest region in the global app economy. 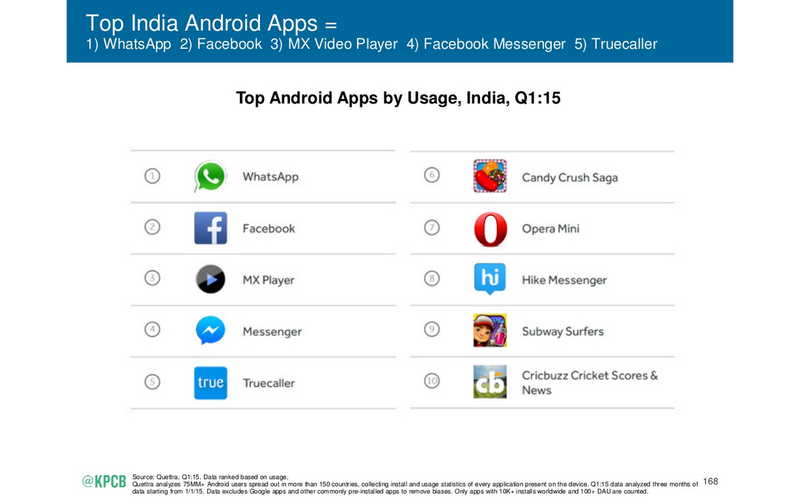 Why India’s app market is growing? There is a misconception with regard to time spend on browsers by Indians. The data by App analytics company shows that the percentage of time spent on apps in India is the same as around the world that is, 93% and the remaining 7% comes from mobile browsers. There is a need for the Government to make policies that are aligned with the application development market in India in order to enable them to take a leadership position along with maximizing the revenue. Along with India being the world’s second-largest user of applications, it might become the largest developer base. The changing trends in app markets are going to bring job opportunities and huge revenues. What do you think are the possible changes that India has been witnessing? We’d recommend you to opt for Mobile App Marketing certification to be able gain those skills and contribute to alter India’s rank from 4th to 1st! Sakshi is a content marketer during the day and a reader by night. She writes content sprinkled with a twisted imagination. She has done her graduation in psychology from Delhi University and has an insane love for history.